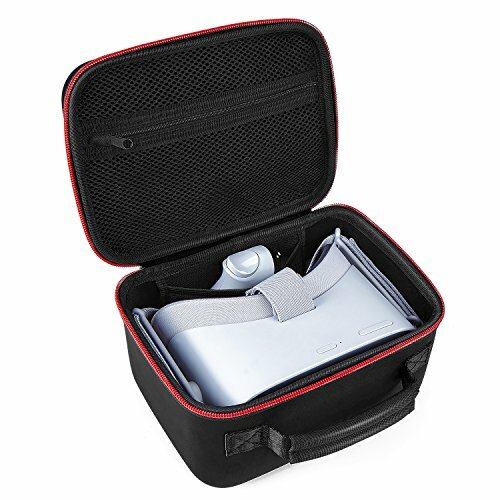 Why choose Vanerdun Oculus Go Carry Case ? High quality EVA material has the advantages of shockproof, dustproof and waterproof . Internal soft velvet protects your Virtual Reality Headset against shock and scratches. Tailor engineered to snugly hold the Oculus Go 32GB / 64GB - Standalone Virtual Reality Headset. An interior pocket carries all necessary cables charger and other accessories. Unique zipper head storage design protects your VR from scratching when the case is closed . Comfortable hand straps and large storage mesh bags make it easy to carry around. If you have any questions about this product by Vanerdun, contact us by completing and submitting the form below. If you are looking for a specif part number, please include it with your message.